Forget The Seasonal Job; It's Time To Make Holidays Work For You! Christmas is expensive. Everybody knows that the best way to keep your finances afloat during the festive holiday is to save ahead. However, saving is the kind the things that are more easily said than done. After all, if you’re already working with a tight budget, it can be tricky to create enough breathing room for you to survive Christmas whilst avoiding the pitfall of debts. The typical American household is driven into debt by the pursuit of the perfect Christmas, from exquisite decorations to thoughtful presents for everyone. With only half of the families expecting to recover their debts within the first three months after the festive season, the consequences of a merry Christmas can be devastating for your budget. ​That’s precisely why seasonal jobs have become so popular. Indeed, with many employers looking for additional helpers during the shopping season, holiday employment can make a great deal of difference in managing your budget and avoiding aggravating debts. However, more often than not, securing seasonal employment will force you to rack up the hours if you want to cover your costs for Christmas. Is this the best solution to guarantee a stress-free Christmas for your family? Seasonal workers agree that accumulating jobs and long hours can affect your Christmas preps. After all, finding the best presents for your loved ones is tricky enough. But trying to manage your shopping on top of long-hour seasonal employment can prove almost impossible. There must be another way to boost your income for the Christmas season! The typical strategy to land a seasonal job is to cast a wide net with your search. Indeed, a variety of companies need to adjust to the increasing pressure of the holiday, meaning that you will find plenty of seasonal openings in sectors as varied as catering, hospitality, retail, and shipping. Keeping your application as open as possible is one of the top secrets to snagging at least one Christmas job – many tackle more than one job during the holiday. Flexibility and a positive attitude will get you almost anywhere. After all, you need to consider that for companies, the Christmas season is hectic. Consequently, job hunters who are happy to work night shifts, early hours or do menial tasks are preferred by recruiters. However, keeping your options and mind open brings no guarantee of a happy Christmas ending. Ultimately, seasonal employees often struggle to make ends meet despite the extra job. Why so? Because seasonal work is hard work and doesn’t pay as much as you’d hope. If you have been saving money for some time or have recently come across a small lump of money, there might be your opportunity to make this Christmas shopping and all the next ones to come a lot easier. Indeed, investing today to secure a regular source of income. What is the best kind of investment for someone who may not have financial know-how? Unless you’re a regular NASDAQ broker, you might want to stay away from stock exchange markets. Instead, the property market presents a better alternative, namely with the purchase of a holiday home in a popular destination, such as Singapore for instance. Indeed, holiday rentals provide a provide source of income which you can boost with additional features, such as working with a local maid agency to ensure the comfort of your tenants, for instance. A profitable rental property can generally pay for its own mortgage through its income, meaning that you don’t have to worry about it straining your budget. What is one of the most popular purchases during the Christmas season – actually a little ahead of the Christmas season if you want to be more exact about it? Greeting cards are on top of the list! 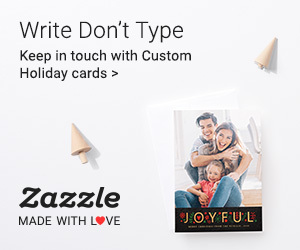 Indeed, every year, American households order several dozens of Christmas cards to send to their relatives, friends, neighbours, and colleagues. Even though the trend is to snap tasteful and quirky Christmas photos for your greeting cards, many people still prefer to use online designs. You can create an online greeting design that can be published on a website. With platforms such as Zazzle which offer print-on-demand options, you can upload your creative profile and let the platform sort out payments and administrative tasks. You can relax and wait for the money to land in your account. The idea of creating an online presence, through blogs or podcasts, is not new. 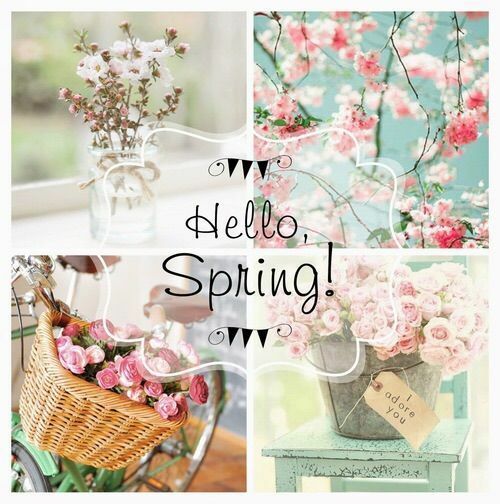 However, you can maximize the seasonal frenzy to publish relevant and informative content to answer topical queries. A profitable niche around the Christmas time is to provide support for present buyers, hosts, and guests. For instance, you can be sure that podcasts about last minute presents for your in-laws, neighbors, or distant relatives will attract a lot of listeners. Monetizing your podcasts is what will maintain your income. The best solution is to get in touch with a selection list of suppliers and retailers which you can promote among other products. Ultimately, if you mention brands in your podcasts, you can get in touch with them and discuss the possibility of sponsoring. The best advantage of a podcast side hustle is that you can record your episode ahead of Christmas and relax while they run on iTunes or the Google Play. If you’re naturally a people’s person, you probably know the importance of being a good listener. Indeed, when you sit down and listen to people, you give someone else the chance to feel understood and care about. It’s an incredibly important feeling, especially during the Christmas holiday. Indeed, many Americans feel lonely and isolated during the festive season. Offering a kind ear can make a great deal of difference. You can promote your services as a listener or a seasonal friend, which can help to save many lives. Platforms such as Craigslist or Facebook Jobs can let you reach out to an audience who needs affection to cut through the loneliness of Christmas. Avoiding Christmas debts is all about preparing your budget for the festive season. However, when seasonal jobs may not be the best solution for you, there are, thankfully, many other alternatives to repurpose the holiday frenzy to your advantage!